The PondMax compact submersible filter is a tion with pump for small ponds or water features upto 250 gallons. 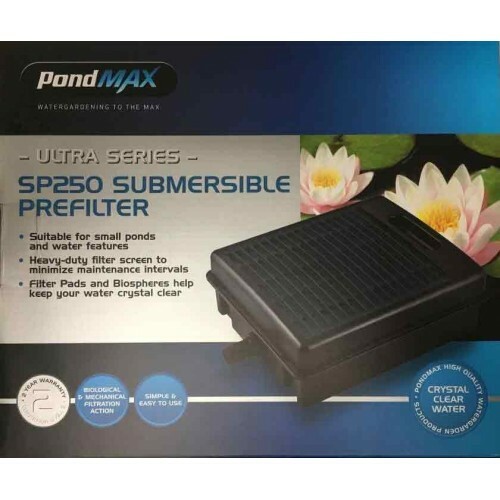 Another well designed filter by PondMax, this filter draws water from any pump (not supplied) and has abundant mechanical and biological filtration internally. Maximum flow 660 gph.